Landscaping and Garden construction requires study and observation. It is not the same in different parts of the country. Landscaping varies according to different regions. Therefore normally local experts are recommended if it is done for the first time. Understanding of the site is one of the chief essentials for successful landscaping. Different natural features like terrain, topography, soil qualities, prevailing winds, depth of the frost line etc. Sometimes the land is not fit for landscaping. In order to landscape it, the land must be reshaped. This reshaping of land is called grading. It’s a commonly used decorative method of creating a pavement or hard standing. The main benefit of bricks over other materials is that individual bricks can later be lifted up and replaced. This allows for remedial work to be carried out under the surface of the paving without leaving a lasting mark once the paving bricks have been replaced. Typical areas of use would be for driveways, pavement, patios, Driveways etc. There are many different laying patterns that can be achieved using block paving. The most common of these is the herringbone pattern. This pattern is the strongest of the block paving bonds as it offers the most interlock, therefore making it a good choice for driveways and road surfacing. Other popular types of pattern include stretcher bond and basket weave.  At P Ward construction we make sure that our customers are given all the options available to them, taking into account the requirements and needs of our customers. Grey paving slates are a natural product and are ideal for external garden paths, drive ways and patios. Grey slate has a heritage that dates back to Roman times. It offers aesthetic appeal and durability P Ward construction prides itself on the quality of the slate we provide to our customers. Indian Sandstone has become a remarkably popular choice for homeowners and businesses. It is extremely versatile and comes in an array of colours and finishes. It is often seen as a more affordable alternative to Yorkstone stone and is mainly used for paving and internal flooring. Stone walls should never look like a pile of stones, it should make a bold statement both casually and stately. Whether the landscape is old or new, adding the right structure to your home or garden through the use of walling and fencing should not only make it look beautiful but should add personal charm, character, and individualism. Whether you’re looking for a raised planter, brick feature or a pond, working with P Ward construction we make your dreams a reality. Garden walls can serve a variety of purposes and can be constructed using a number of different materials, including stone, brick and concrete, as well as being designed and built according to your requirements. Our team are experts and can build your wall to suit the size and shape of your garden, as well as your individual specifications.